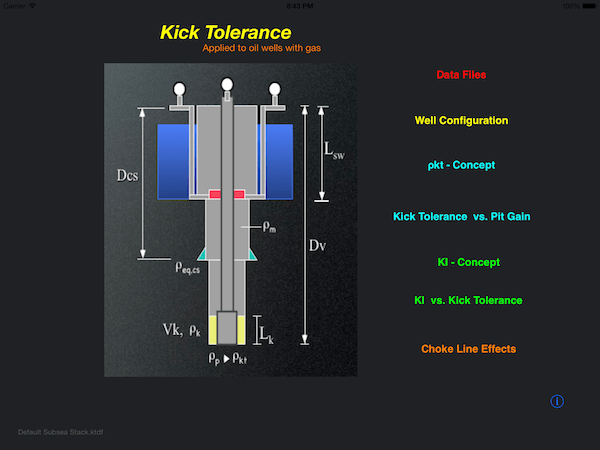 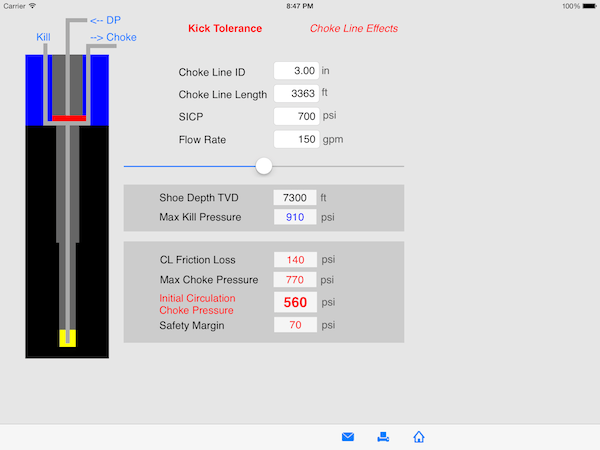 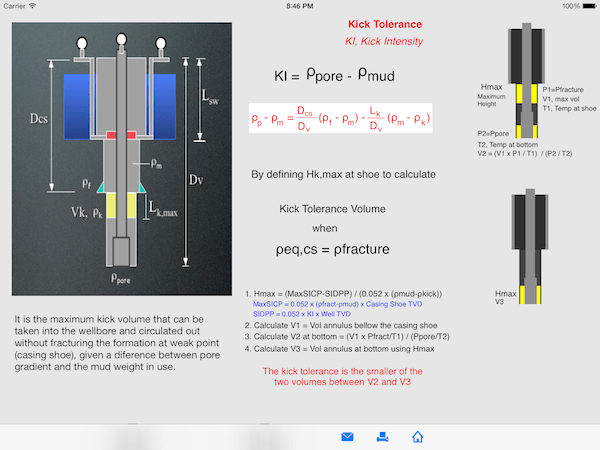 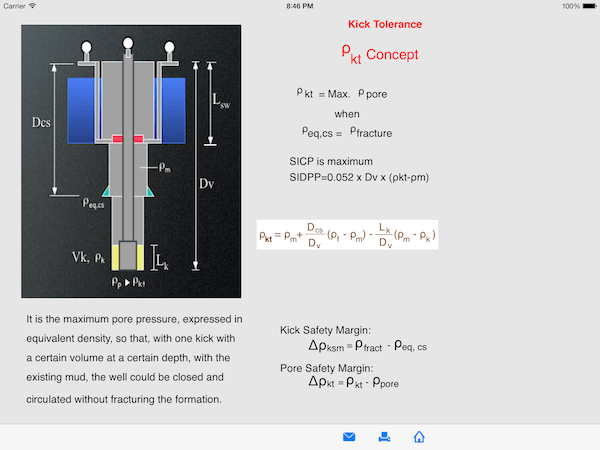 The Kick Tolerance provides to drilling engineers, chemists, technicians, students and others professionals in the Oil & Gas industry a productivity tool helpful in drilling operation (well control) and planning phase of oil wells. 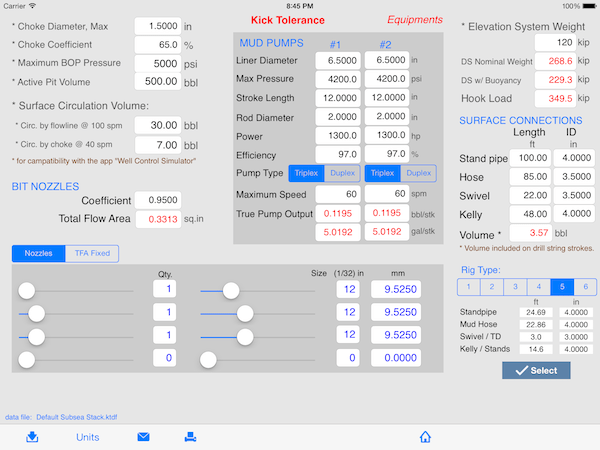 This version is completely interactive and allows users to define a wide variety of parameters for oil wells, save data to files. 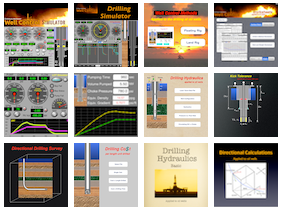 – For well control simulation, use another app “Well Control Simulator“. 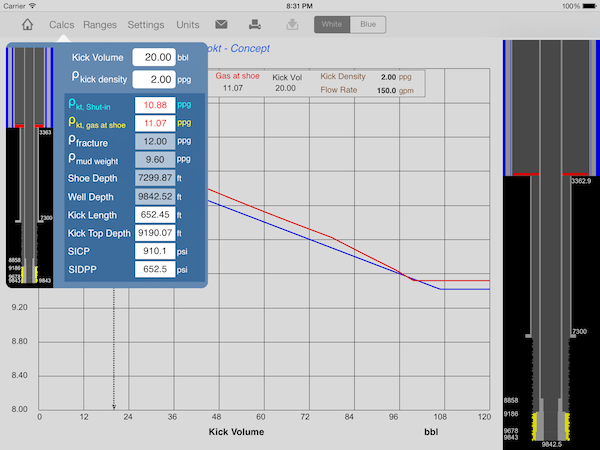 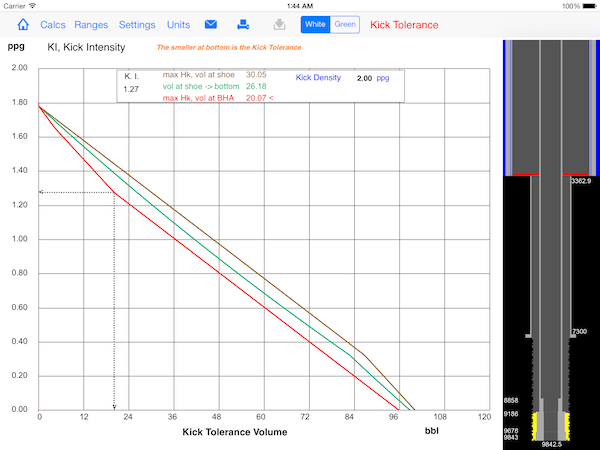 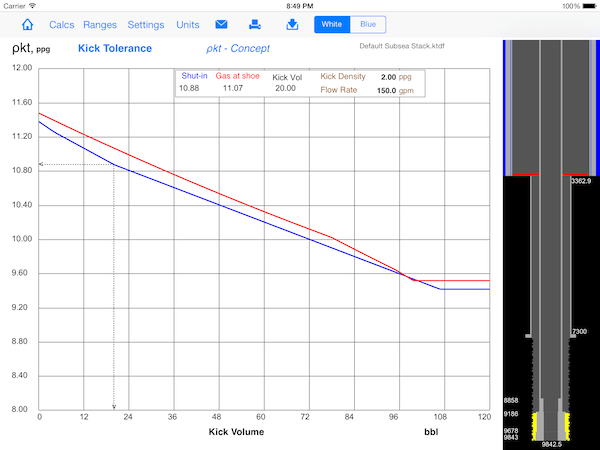 2- Kick Tolerance as Maximum Kick Volume. 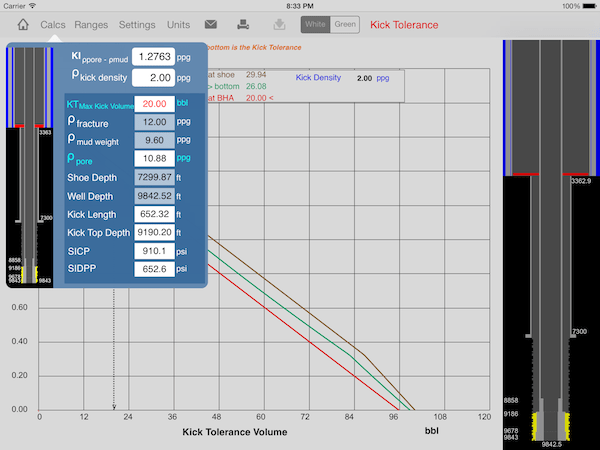 5) Views with calculations of capacities, volumes and more. 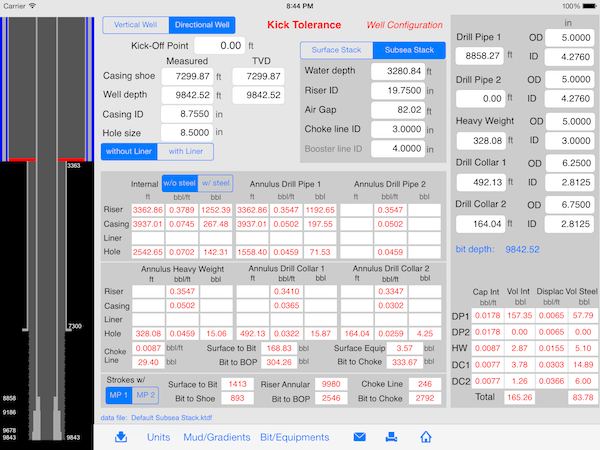 12) Drill string sections: drill pipe 1, drill pipe 2, Heavy-weight, drill collar 1 and drill collar 2. 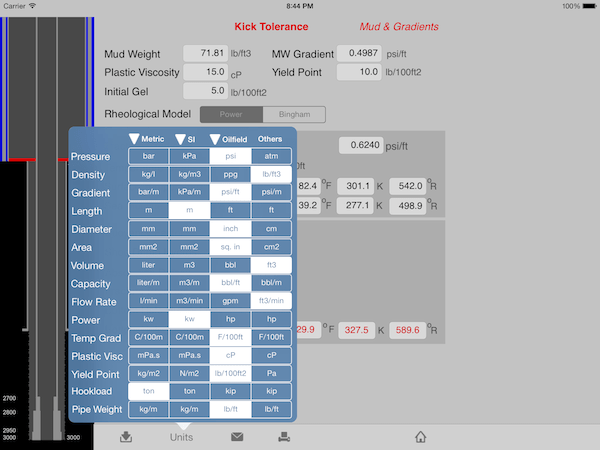 18) Printing and attachments with retina display.